Do I have to be a wedding professional to attend? Absolutely not, this course can help any small business, but my background is in the wedding industry so I can offer additional advice on marketing to wedding professionals. The nuts-and-bolts of this course can apply to any entrepreneur. What qualifications do you have to teach this? 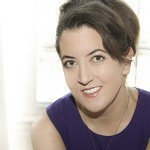 (by Laura Eaton) Over the last 13 years of building my business, I have done everything from building my first website from scratch with HTML coding to handling all of my own marketing, SEO and site management to this day. I have also consulted and have been hired by other businesses to assist with their growth, optimization and site development. 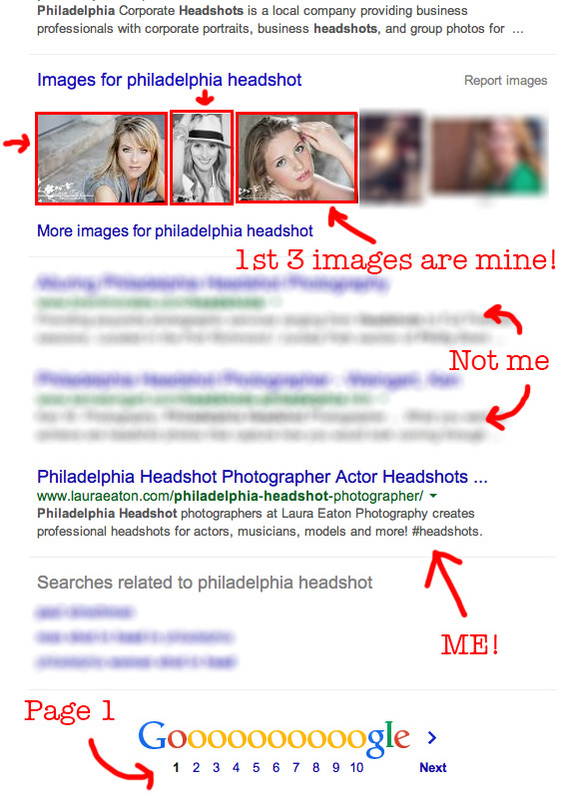 Here is proof of how I have built my SEO to effectively market my headshot photography… If you search “Philadelphia Headshot” or “Philadelphia Headshot Photography” you will find me on the first page of Google (this is exactly where you want to be). If you look at the image search results, I dominate those, as shown in this screen shot: Out of the approximately 50 results shown on the first page, 14 of the images are mine. That means I have roughly a 30% share of the results, and my images typically dominate the first line, which is the preview that is shown on the first page of Google (i.e. 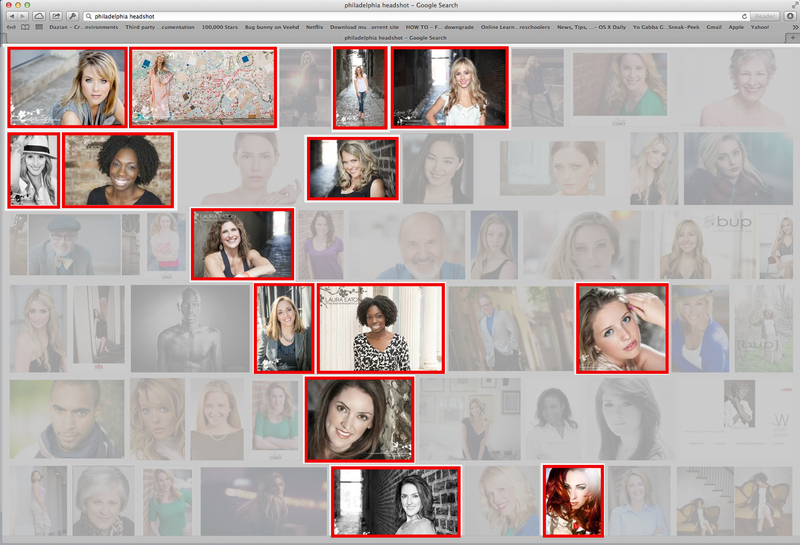 my images give me more “real estate” on the first page, along with my link to my site). I have accomplished this without paying for AdWords or placement, I do not pay anything to Google. I learned this over many years, lots of reading, research, trial and error. With this course you can take this distilled information and put it to use immediately. 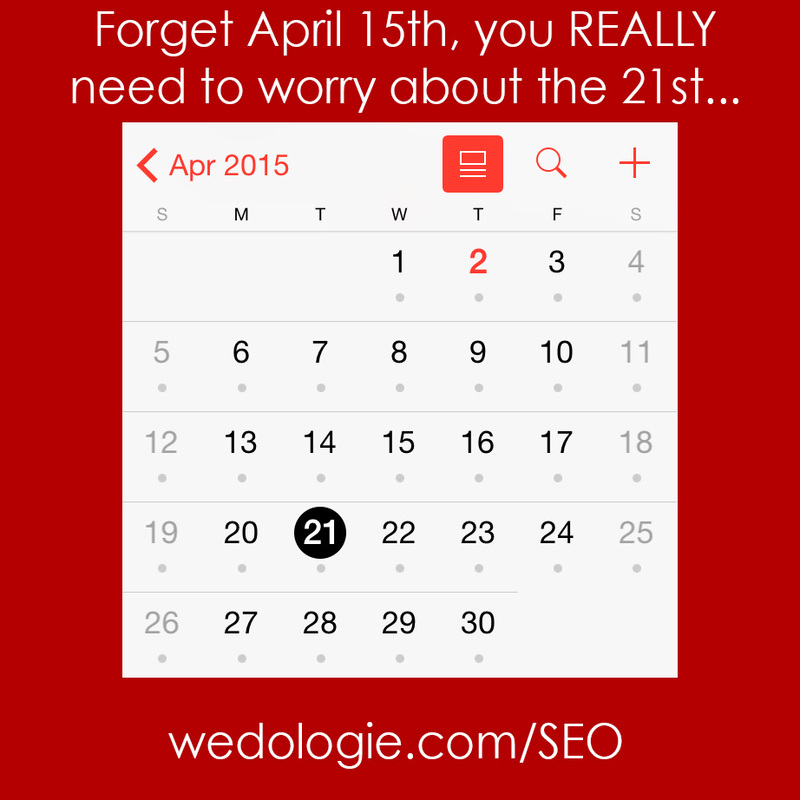 Another important thing to note – I DO NOT WORK ON MY SEO EVERYDAY – in fact, I don’t work on it even every week…. More about that at the workshop! The material will be presented in a simple, step by step format that anyone can understand. I am a visual learner, but I know that everyone learns differently, so I will demonstrate the techniques, show you on a computer and give you notes & outlines to ensure you receive the information in a way that works for you. If you have any questions, please feel free to reach out to me directly at either wedologie@gmail.com or you can call me, Laura Eaton, directly at 609.954.0488. Registration is limited to just 6 attendees to ensure everyone gets individual attention, and the rate for future courses will be higher…..
$99 of the $499 is a non-refundable reservation. If you cannot attend the day of the event, this fee can be transferred to the next SEO workshop.